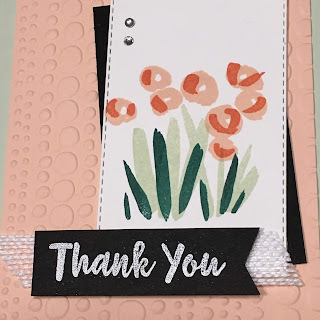 Karina's Kreations: Abstract Impressions Swap Cards! I'm so excited! I'm off to Onstage today which is being held in Vancouver. I didn't have a lot of time to make make swaps so I had Helen and Tara help me. Thanks girls. I really appreciate your help and loved your company. This is the swap card we card made. 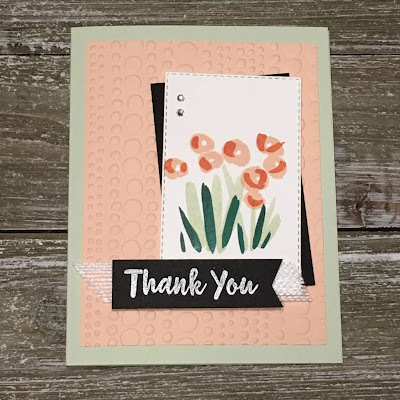 I chose the Abstract Impressions stamp set because it will be rolling over into the new catalog. 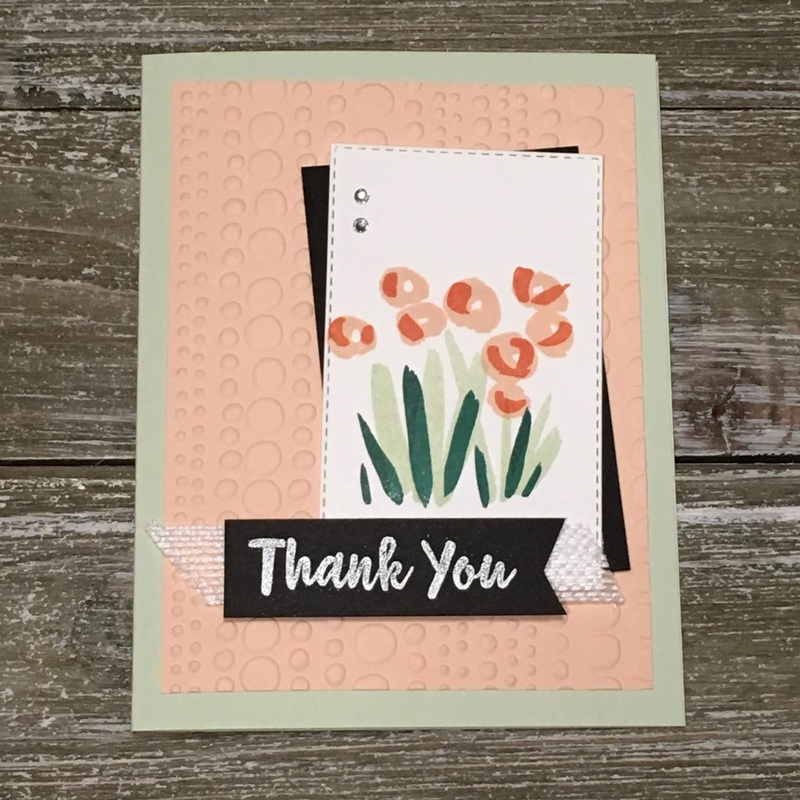 I also love that we used the Stamparatus to stamp the flower image. The stamparatus is an image positioning tool, giving perfect placement every time.